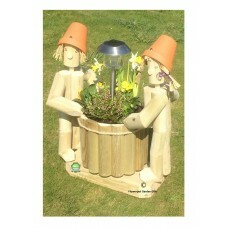 Ornamental garden solar lighting featuring our flowerpot man characters. 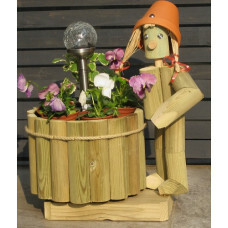 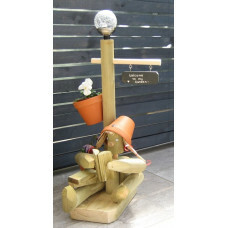 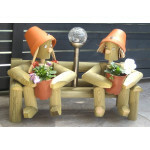 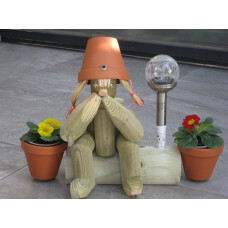 See our range of Flowerpot Men theme garden ornaments, planters and solar powered lamps. 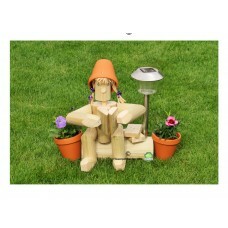 A Boy or Girl Sitter on a Tanalised Wooden Plinth leaning against a Solar Lamp stand, We include 2 s.. 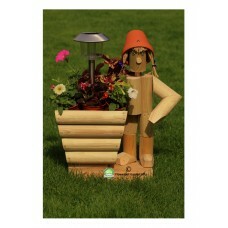 Boy or Girl bookworm sitting on a tanalised wooden log reading their book under a Stainless Steel So..
A Flowerpot twosome sitting on a Tanalised Wooden Log. 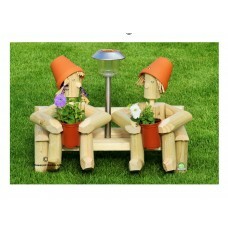 They are sitting either side of Stainless Ste.. 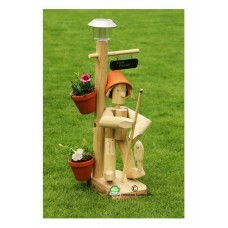 Boy with Fishing rod, leaning against a post with a Solar light on top of the post. 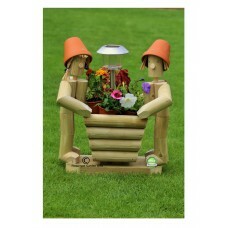 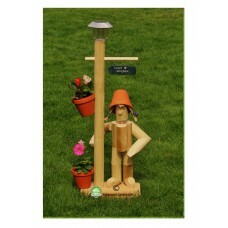 The light charge..
Flowerpot boy or girl stander on a large Tanalised wooden plinth with a lamp-stand and solar light. 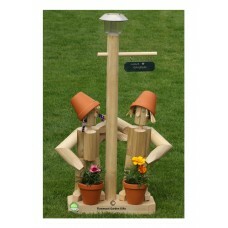 ..
Twosome standing under a Solar Lamp on a Lamp-stand, with 2 seasonal Plants in Terracotta pots plus .. 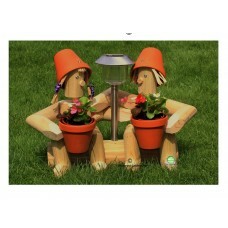 Boy and Girl sitting on a Bench, facing each other with a Stainless Steel Solar Light on a stainless..